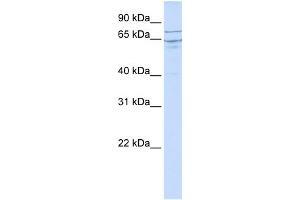 Characteristics This is a rabbit polyclonal antibody against EDEM1. It was validated on Western Blot using a cell lysate as a positive control. Background EDEM1 belongs to the glycosyl hydrolase 47 family. It extracts misfolded glycoproteins, but not glycoproteins undergoing productive folding, from the calnexin cycle. It is directly involved in endoplasmic reticulum-associated degradation (ERAD) and targets misfolded glycoproteins for degradation in an N-glycan-dependent manner.